They have sourced a quality selection of Devon’s finest beers from a number of top brewery’s as well as highly acclaimed micro breweries to feature in the Beer Festival. Why not come and sample some of these beers in the stunning scenery on Dartmoor? 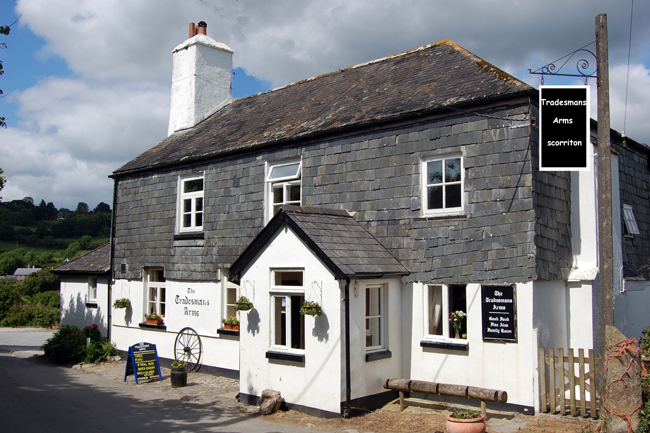 The South Devon Railway’s Routemaster ’bus will be operating excursions from Buckfastleigh railway station to the Tradesman’s Arms (Friday starts at Newton Abbott national network railway station). Friday 14th September — J.A.R. Come and join in this fabulous music evening with the talented trio of musicians. Sample their extensive range of traditional pub songs that gets everybody joining in — night not to be missed! Come and listen to this very talented young band play some of the best modern and popular music around with electric and acoustic guitars and drummer.